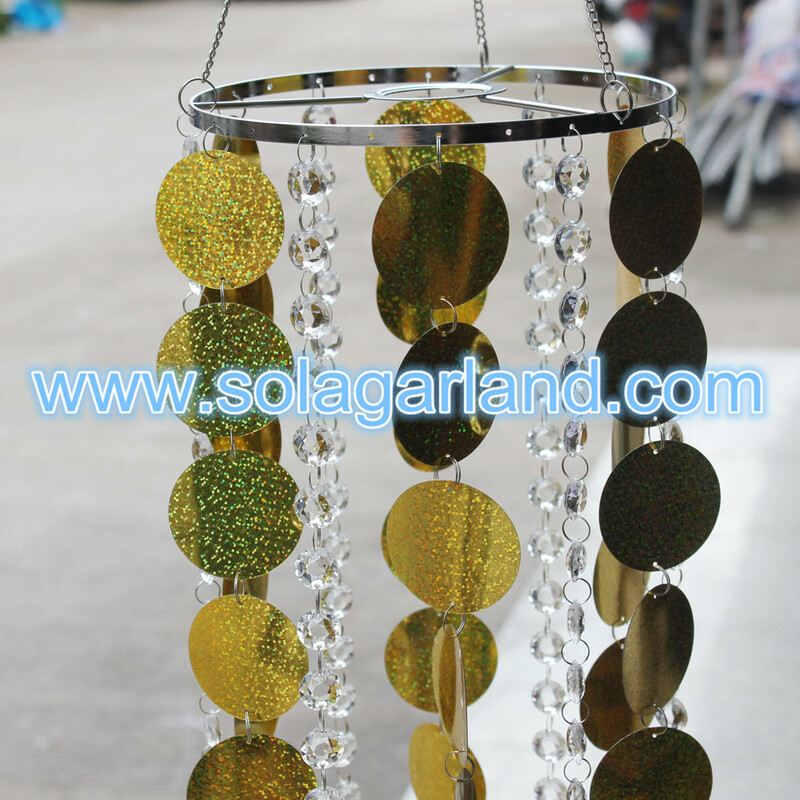 Modern metallic silver chandelier with PVC circles and acrylic plastic crystal beads chain. 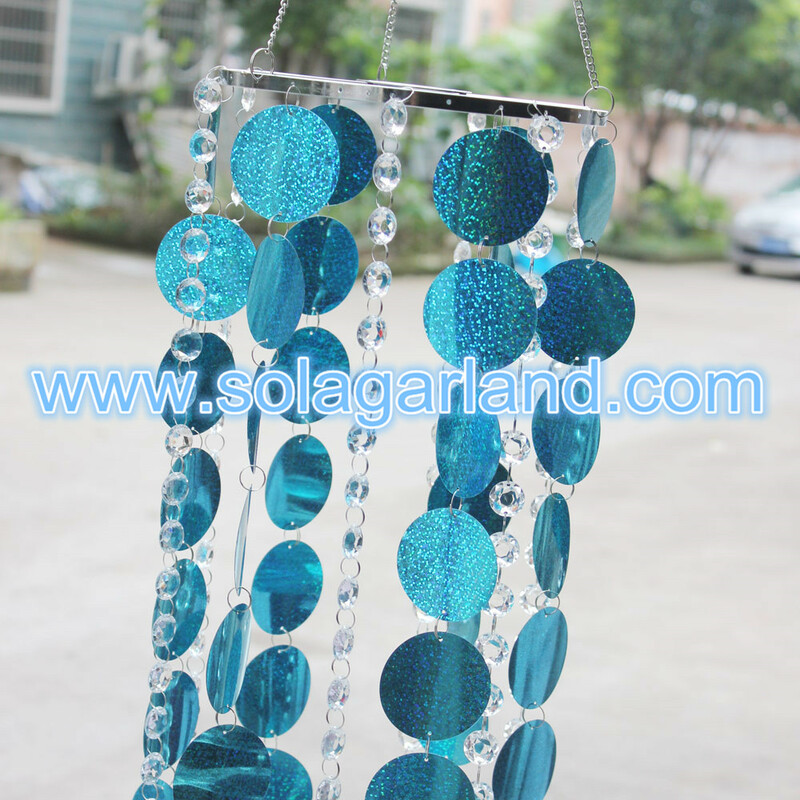 Very chic and perfect for glamorous events !!! 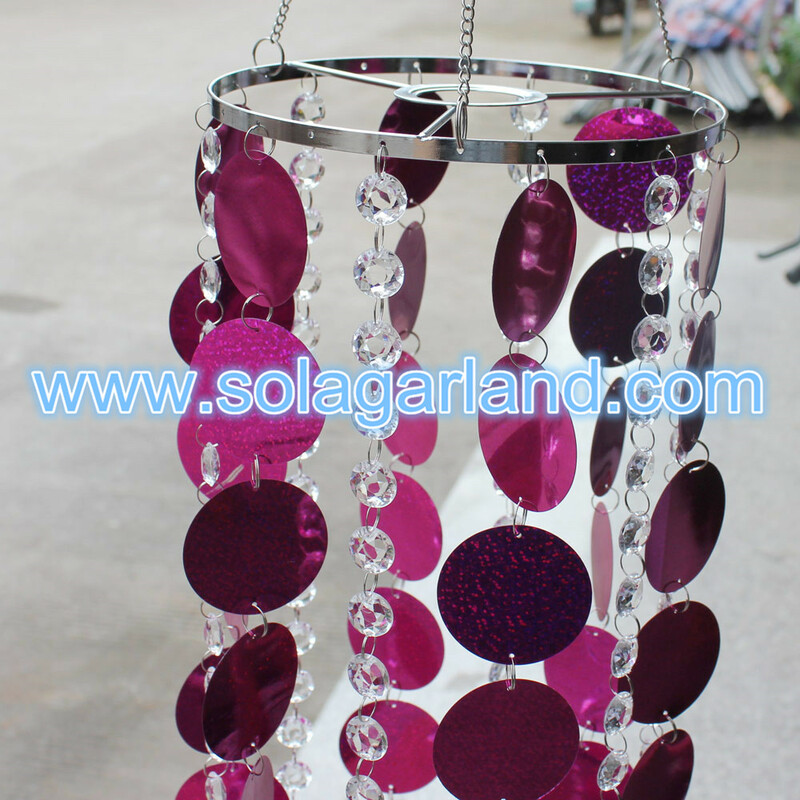 This wedding decoration centerpieces chandelier is made with PVC circles and diamond cut beads string. 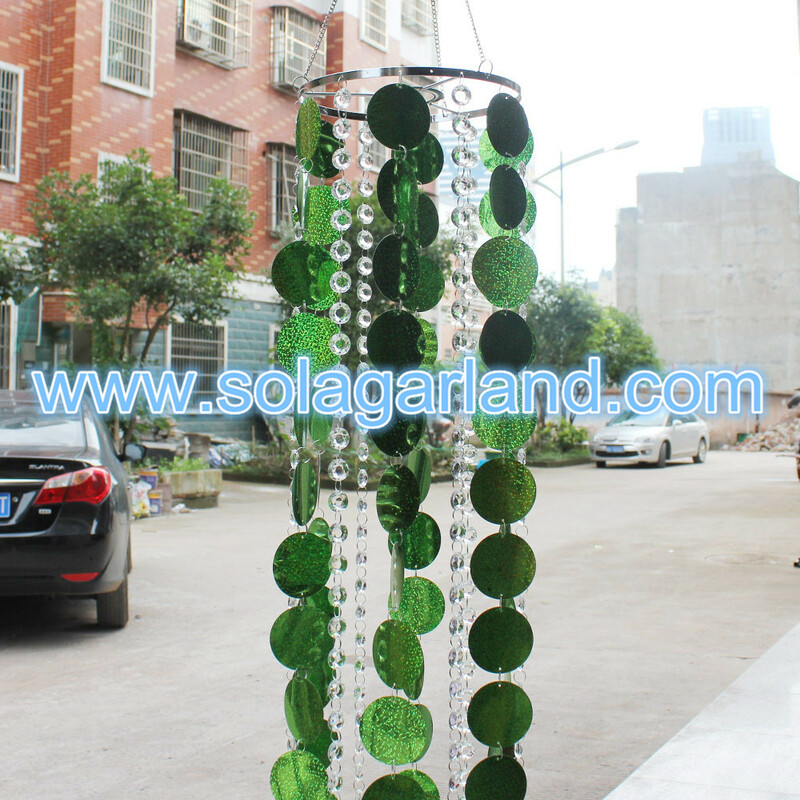 Top of the chandelier is 20CM. 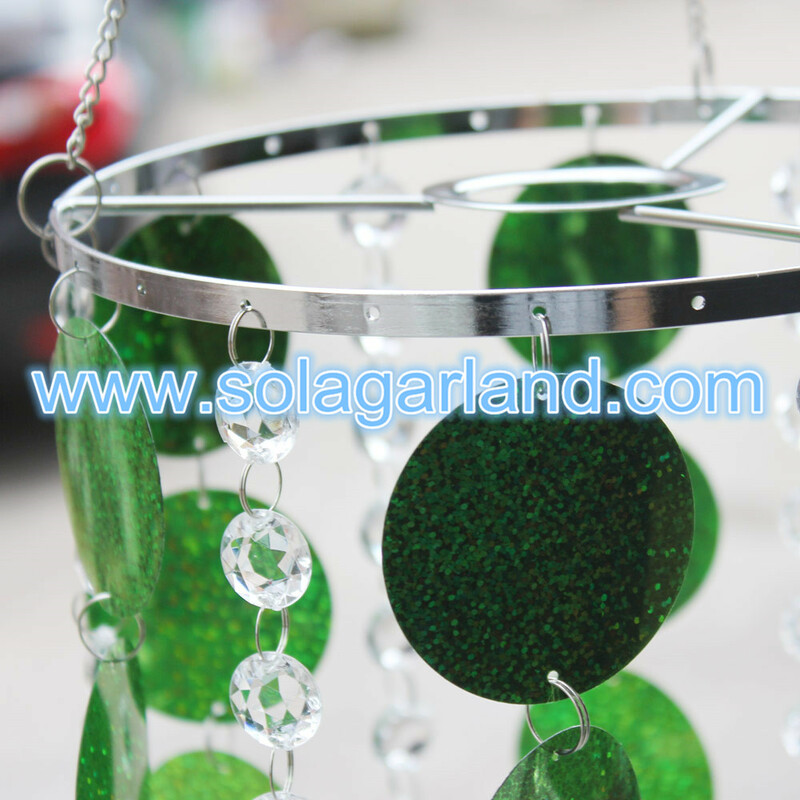 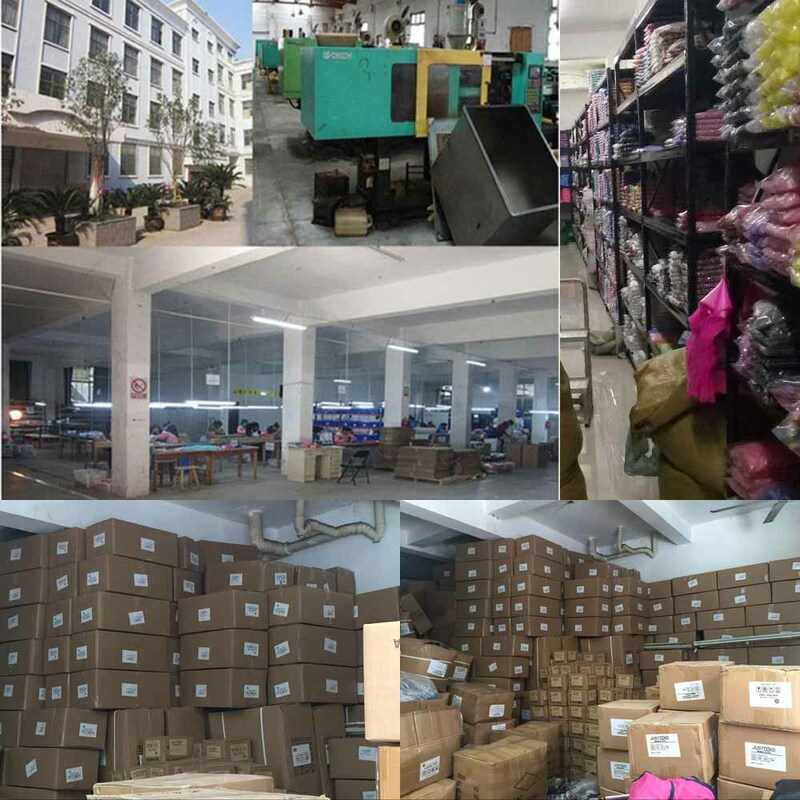 There have 24pcs hole on the top ring. 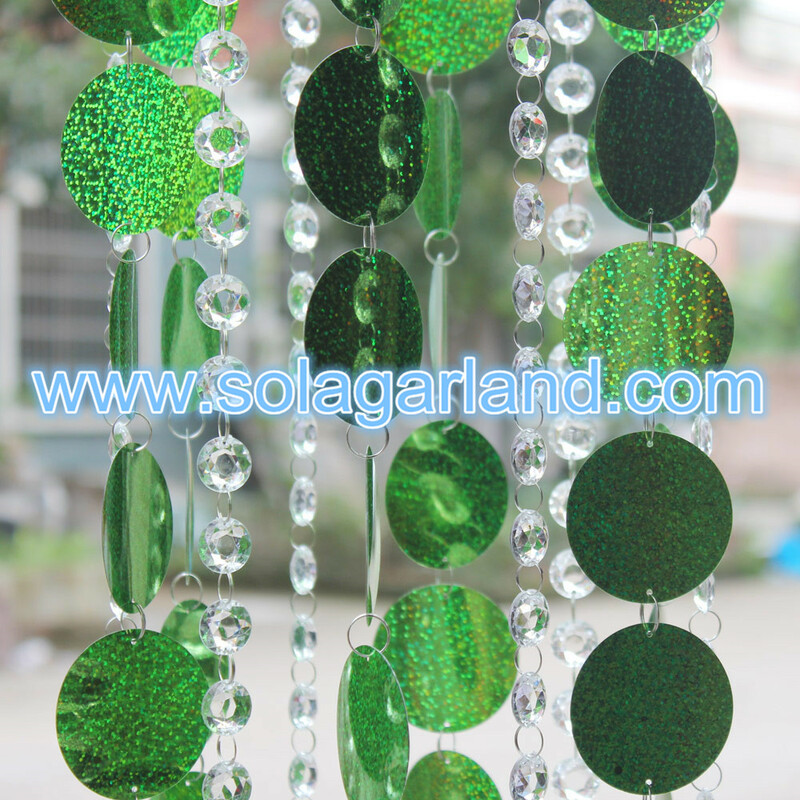 The PVC circles is 55MM and diamond cut beads is 18MM. 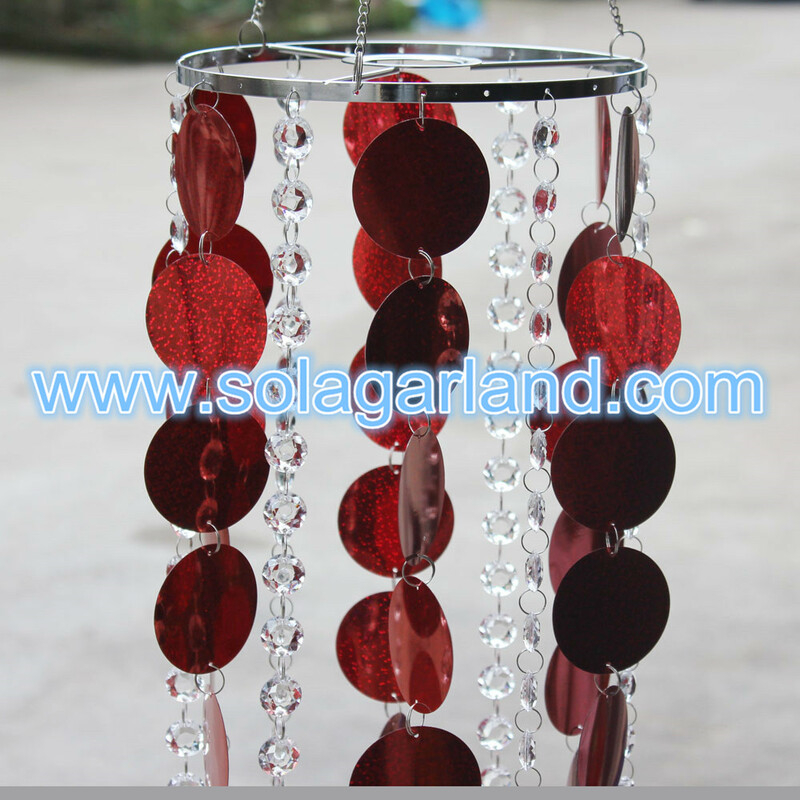 For this chandelier, it includs 6 strand PVC circles chain and 6 diamond cut beaded chain.